Why should I track my award balances and travel plans? q: I need to find out my membership number / ID for a particular award program, or change any of my personal preferences (such as my address, email, etc.) on any award programs, can AwardWallet help with that? No. AwardWallet is not affiliated with any airlines, hotels or any other award programs and therefore does not have access to that information. It is your responsibility to know your award program numbers, ids, passwords etc. q: I just took a trip and need to apply for a frequent flyer program or add my new miles to a program that I am already participating in, can AwardWallet help? No. 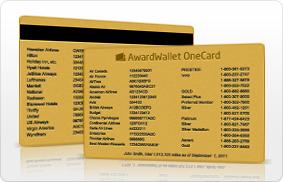 AwardWallet cannot sign you up for an award program, nor can we add miles or points to your loyalty accounts. AwardWallet can help you keep track of your award program balances by logging in, on your behalf, to websites that have your balance information. We can not add miles to your program, only the owner of the award program can do that. You would need to contact the airline that you used for travel and request that they add the miles to your account. Then, use AwardWallet to track your balances. AwardWallet is especially useful if you are participating in multiple award programs with different airlines, hotels, credit cards, etc. q: I cannot check my current balance on an award program because I do not know my username or password, can AwardWallet help? No. AwardWallet is designed to track your award program balances by logging on, on your behalf, to websites that have your balance information. We are not affiliated with those websites (i.e. hilton.com, jetblue.com, etc.) in any way, so you need to resolve any account related issues directly with the provider of the award program. For example, if you do not know how to login to the hilton.com website to check your Hilton Honors balance you need to go to hilton.com​​​​​​​ and resolve this problem directly with them before you will be able to use AwardWallet. q: I have an American Airlines account; will AwardWallet be able to help me track my American Airlines information? 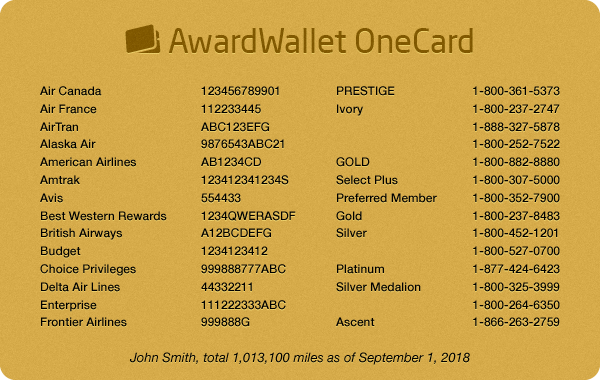 q: I have miles / points on different award programs, I would like to consolidate these miles / points into one award program, can AwardWallet help? No. AwardWallet can not transfer miles between programs, even if the award program allows transferring miles / points only the owner of the account can request such a transfer directly with the award program provider. q: I added an award program to my profile and checking the balance returns an error. What am I doing wrong? Go to AwardWallet and click the "Edit" link by the program in question. Then click on "Reveal password" right underneath your password field. At this point you will be prompted for your master AwardWallet password. Type it in and click Reveal. After that you should be seeing both your user name and password in clear text. Copy your user name and password and then paste (don't simply re-type) them into the login input boxes on the provider website in question. 2 If the provider's website is asking you some questions about your profile after you login, until you answer those questions, AwardWallet will not be able to check your balance. 3 If you chose to save your passwords locally, it is possible that you either deleted cookies or changed computers. 4 It is also possible that the provider’s website has changed and AwardWallet is not aware of it. If none of the above is true, please send a note to us and we will do our best to fix the issue. q: What is the difference between a Free account and account that was upgraded to AwardWallet Plus? q: What is AwardWallet OneCard? OneCard has a flat cost of $10 with free shipping anywhere in the world. More details can be found here. q: If I lose the OneCard, does it mean all of my logon account are lost also? No, AwardWallet OneCard does not store any of your passwords so if you lose your card you only lose your account numbers, not the passwords. q: I am new to AwardWallet.com, what are the benefits of using this service? AwardWallet is designed to help tracking different loyalty accounts for you and your family. We do it by logging into the different reward accounts and retrieving your balance on your behalf. We will retrieve or calculate expiration, elite level, etc. and show this information in a single, easy to understand report. AwardWallet will help you manage your travel plans via our "Trips" feature on the web and via our mobile apps. AwardWallet helps you redeeming your miles for first or business class international fares. Just submit a booking request and our team will work on finding the best itinerary for you. 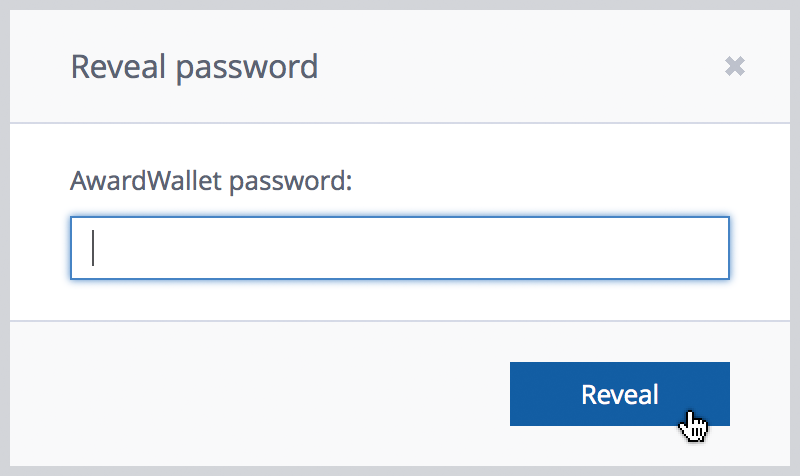 q: How does AwardWallet ensure that my account information is secure? We always use industry-standard encryption technologies when transferring and receiving customer's data exchanged with our site. We have appropriate security measures in place in our physical facilities to protect against the loss, misuse or alteration of information that we have collected from you. We offer and encourage our users to enable two-factor authentication on their accounts. This way even if someone steals your AwardWallet password or gets a hold of your computer they would still need a way to generate a one-time code to get into your profile. All of your sensitive data is encrypted in our secure database. Whenever we transfer your passwords we use https secure protocol (heartbleed free). We also give you the ability to store your passwords locally on your computer in a cookie. However, there are advantages of storing your passwords in our database, for example we would be able to automatically check your balances for you and then send you a report with your balance changes. Thousands of people have trusted us with their account information, our service is very mature (we launched our website in 2004) and the website is hosted and founded in the United States of America. We participate in a bounty bug hunt with Cobalt https://cobalt.io/awardwallet where we pay hackers to find security issues with our service. Your AwardWallet passwords are hashed with bcrypt, cost:13, plus unique salt for each user. For the passwords that users store locally on their computers we use Rijndael (similar to AES), 256 bit. Loyalty account passwords are encrypted with 1024 RSA key. If someone is trying to brute-force your account we will lock them out for a period of time after few invalid login attempts. q: How do I know if my balance recently changed and what do all the different symbols mean in the list of my accounts? q: What is AwardWallet's referral bonus system all about? How does it work? q: The free interface only shows 3 expirations. I would like to choose which 3 expirations i can see. Is that possible? Sort of. First of all with the free version you can click on "Edit" by any program to see its expiration (even if it is hidden in the list view). So it is literally one click away. 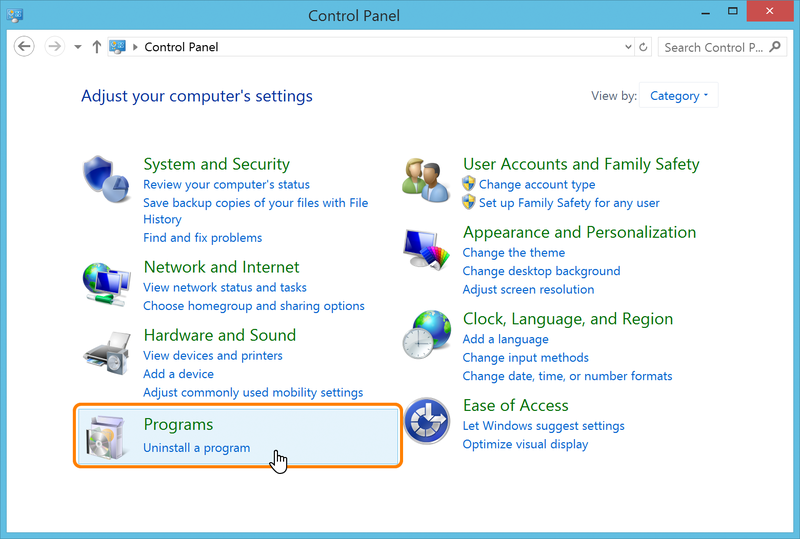 Second, you can ungroup your programs (in the left navigation bar) and then sort your programs by the expiration, by the program name, or by the balance in either direction (Ascending or Descending). 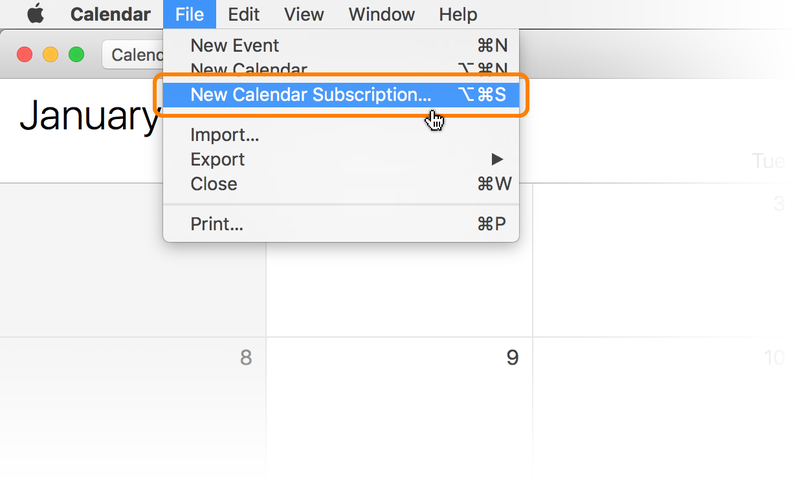 Since we always show the first 3 expirations by reordering your programs you control which expirations are visible. 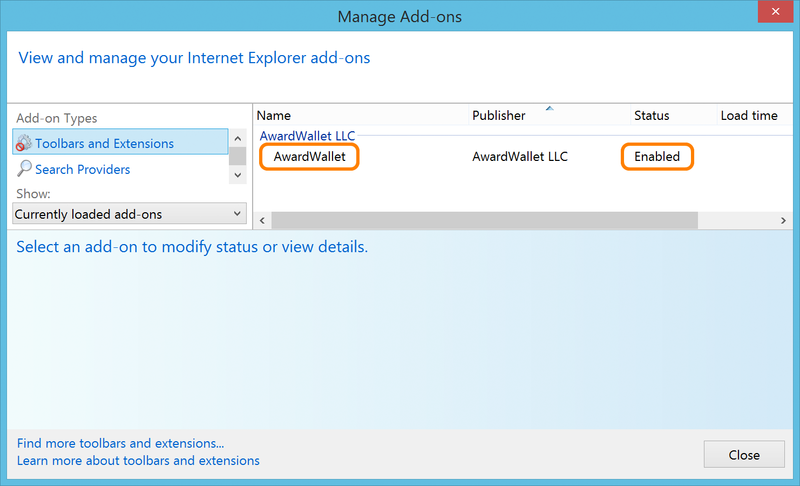 q: I am having trouble installing AwardWallet extension under Internet Explorer. What should I do to get it fixed? Make sure you fully restarted Internet Explorer after enabeling the extension. In most cases closing all the browser windows, but in some cases a computer reboot is required. q: How does AwardWallet booking service work? You submit a new reward booking request that goes into our booking queue. Someone from the booking team that works with AwardWallet will reach out and work with you. The cost may vary from $150 to $185 per booked person. q: Does AwardWallet allow me to use two-factor authentication with my account? 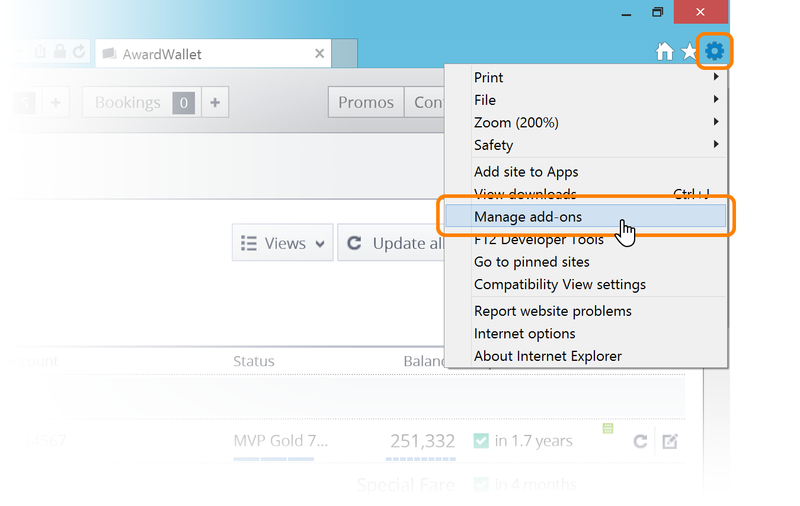 Yes, you can enable two-factor authentication in your profile making your AwardWallet profile much more secure. 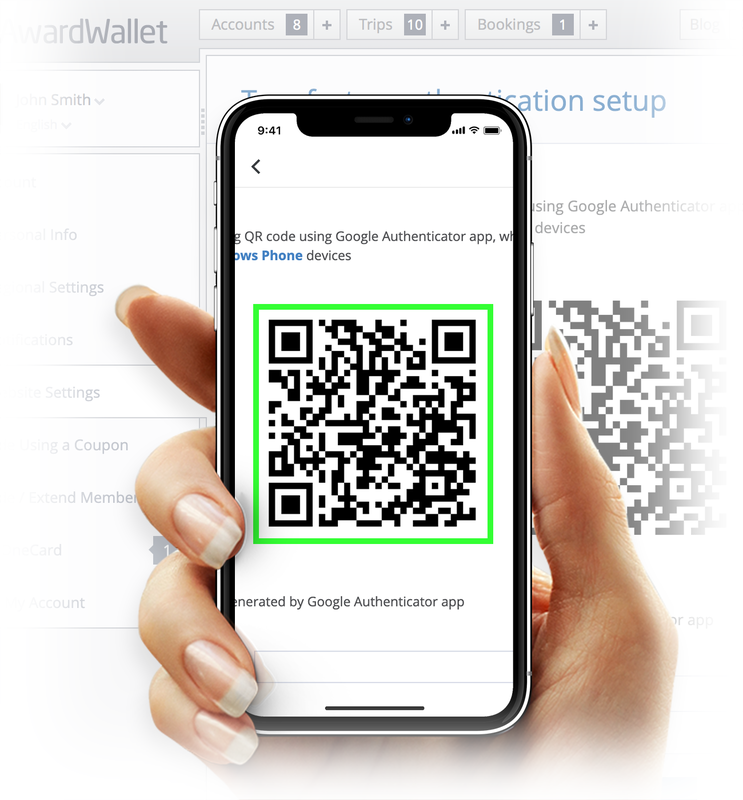 At a high level it means you will use your phone to generate a one-time code in addition to your username and password to login to AwardWallet. If you don’t know what two-factor authentication is you can read the following Wiki article or just Google it. q: I have a question about my AwardWallet profile, what is your technical support phone number? Unfortunately, at the moment AwardWallet does not offer phone support, so there is no number you can call to talk to us, but you can submit any questions you have via our Contact Us page, and one of our support representatives will be in touch. We typically answer support requests within 1 business day. 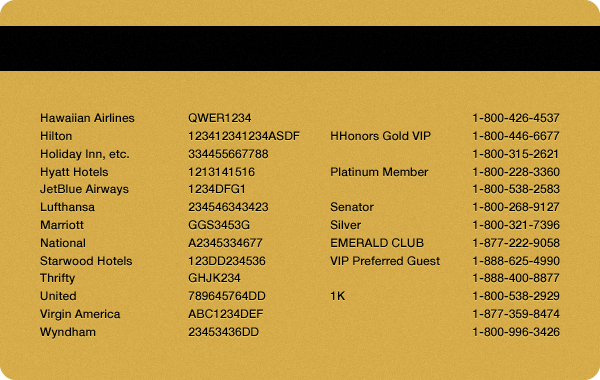 q: Is AwardWallet owned by any of the hotels, airlines or credit card companies featured in your program? No. AwardWallet is completely independent of any of the hotels, airlines or credit cards referenced herein and of any of the loyalty programs tracked or monitored using our services. q: Does AwardWallet allow me to sell or buy miles? q: If I don't renew my account will I just be downgraded from AwardWallet Plus? Yes. None of your data will be deleted you will just be downgraded with an option to upgrade. 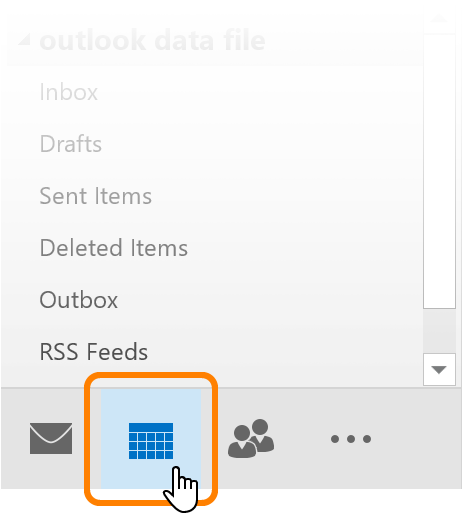 Manage reward booking requests for your users (additional setup required to enable this feature). Track corporate loyalty programs such as Alaska Airlines (EasyBiz) or KLM BlueBiz programs. Have many linked users under your profile. While regular Awardwallet.com interface is not designed to support hundreds or thousands of linked accounts business interface is designed just for that. You can link a business account with travelers who use regular AwardWallet interface and they can choose what to share with your business account. For example, travelers may choose to only share their reward account numbers or they may let the business to completely administer and monitor their reward accounts. The business interface lets you track individual users travel plans. 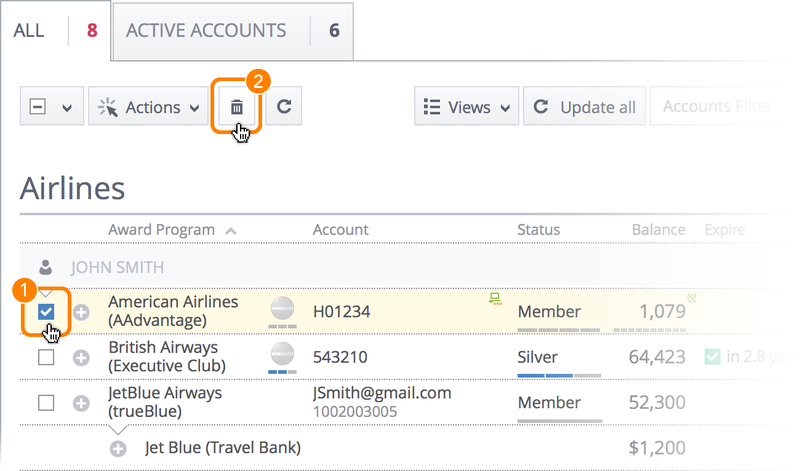 The business interface comes with an API that allows you to grab account information programmatically. q: How do I register a Business account for my company? q: How much does the AwardWallet business account cost? The price is $2.50 per month per managed member. q: How do I schedule a download of my AwardWallet data? 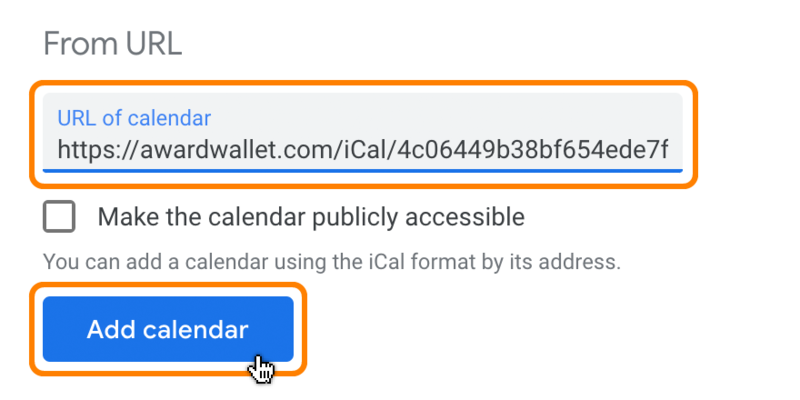 q: How do I auto-import AwardWallet travel plans into my Google calendar? 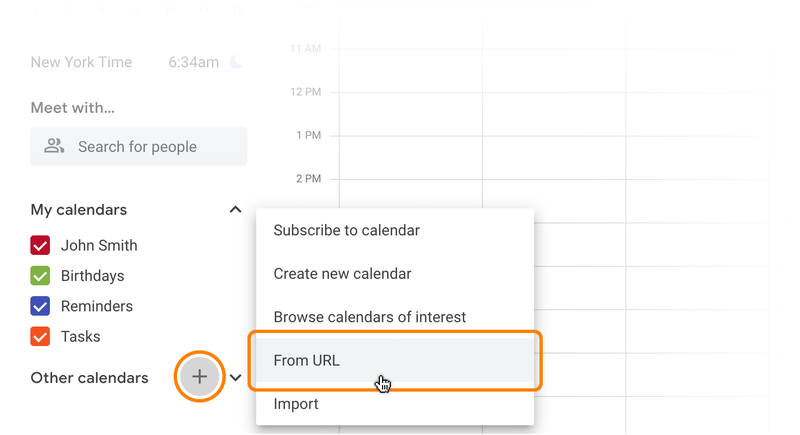 If your Google Calendar is not getting updated with new travel plans, please add the following string to the end of the url: "?nocache" without the quotes, per this thread. 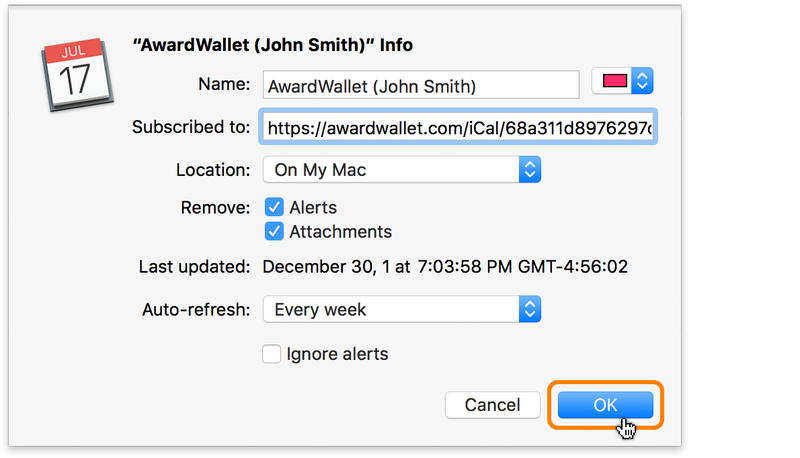 q: How do I auto-import AwardWallet travel plans into my Mac Calendar app? 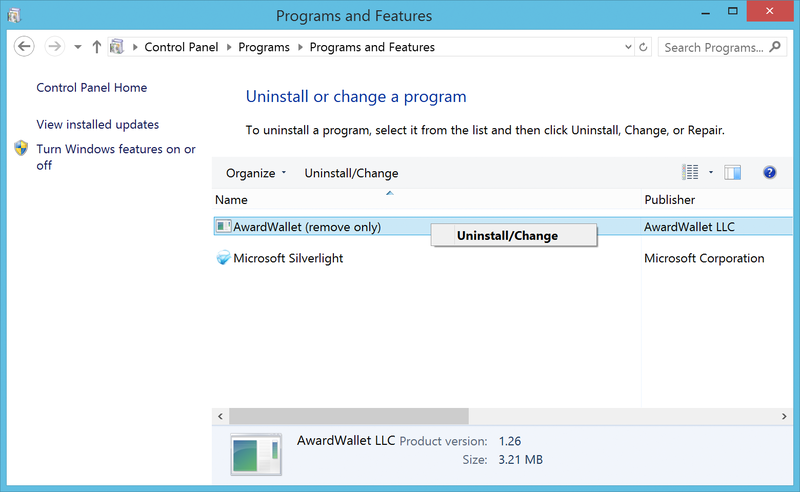 q: How do I auto-import AwardWallet travel plans into my Microsoft Outlook calendar?